The government of Sierra Leone has once again come under severe criticisms for its poor record on human rights, corruption, the disproportionate use of force and police brutality, as well as government’s collusion with mining companies – through dodgy contracts, that continues to dis-empower local land owners and communities. “Protecting the rights of all Sierra Leoneans is not an option, but a legal obligation, particularly given Sierra Leone’s history of conflict, promoting rights as part of the country’s sustainable development is essential, says Rona Peligal – deputy director – Africa division of Human Rights Watch. Has the Koroma government become a self-serving autocracy? Two years ago, a report produced by an American research institute on the effects of ‘land grabbing’ by foreign companies on poor communities in Sierra Leone, found that corrupt government officials and ministers are deliberately and unlawfully coercing land owners, into signing poorly drawn contracts that strips away their rights. A similar report published by a Dutch humanitarian organisation, concluded that most of the mining agreements signed by the government of Sierra Leone are not in the interests of the people of Sierra Leone. The Dutch report also found that ministers received huge one off cash payments and kick-backs in return for the payment of negligible royalties and taxes, with massive concessions on import and export duties. 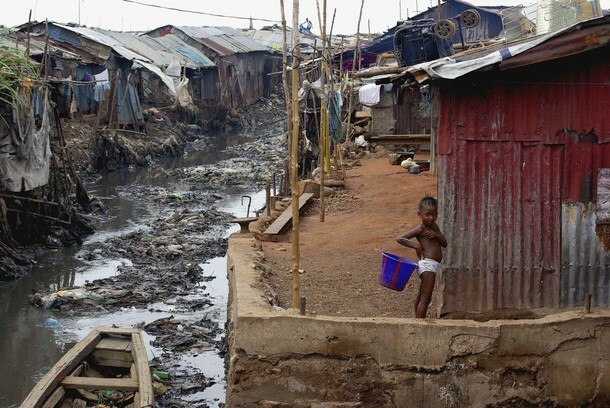 Sierra Leone is still classed as one of the poorest nations in the world, despite an abundance of natural resources. Less than 20% of the country’s population earn more than one dollar a day. This week’s report by Human Rights Watch once again exposes the duplicity, lawlessness and unpatriotic behaviour of corrupt officials, whose only objective sitting at State House is to loot their own people. The government of Sierra Leone and a mining company that is the country’s largest private employer have undermined villagers’ access to food and prevented workers from challenging abusive practices, Human Rights Watch said in a report released today. The government should ensure that economic development projects in the booming post conflict nation do not come at the expense of the human rights of local populations. The 96-page report, “Whose Development? 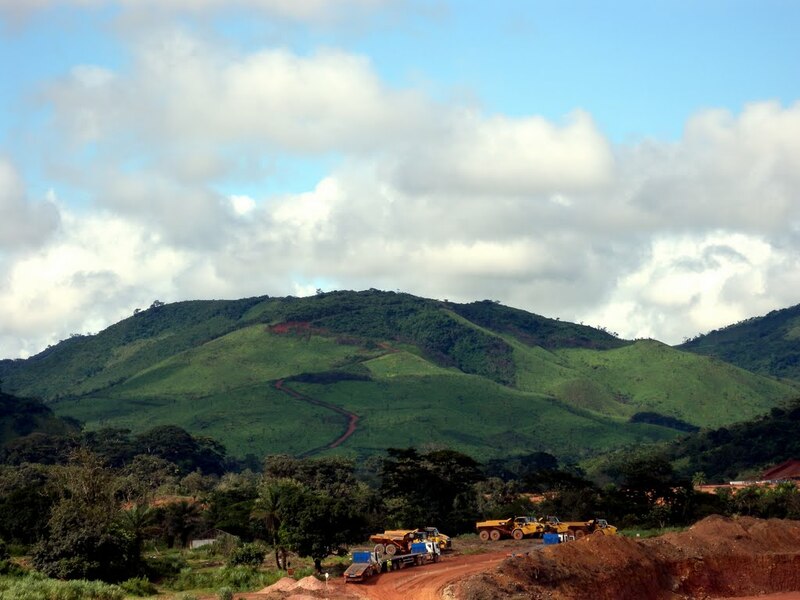 : Human Rights Abuses in Sierra Leone’s Mining Boom,” documents how the government and London-based African Minerals Limited forcibly relocated hundreds of families from verdant slopes to a flat, arid area in Tonkolili District. 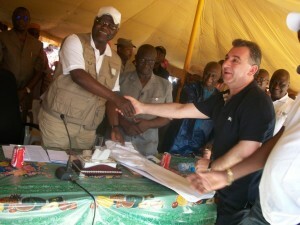 (Photo: President Koroma signing contract with African Minerals). As a result, residents lost their ability to cultivate crops and engage in income generating activities that once sustained them. Human Rights Watch met with the company’s leadership in February 2013, and corresponded with these directors until their departure from the firm in August. In January 2014, Human Rights Watch wrote to the company’s new management to update findings and request information, but has received no reply. 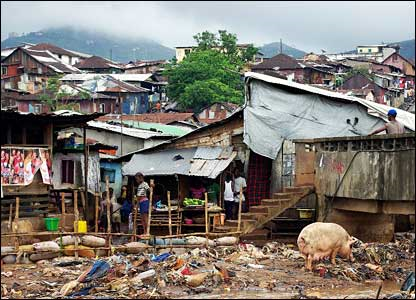 Sierra Leone is an impoverished West African country still recovering from a catastrophic civil war that ended in 2002. The company exports the ore to steelmakers in China. The Sierra Leonean government, while promoting the company’s operations as essential to Sierra Leone’s economic development, permitted corporate actions that violated the rights of Tonkolili’s residents, Human Rights Watch found. For example, the government failed to provide adequate oversight of the company’s consultations with local communities or respond to repeated complaints about the forced relocation of residents. Both the government and the company misled villagers about what would happen once they were moved to the new site. 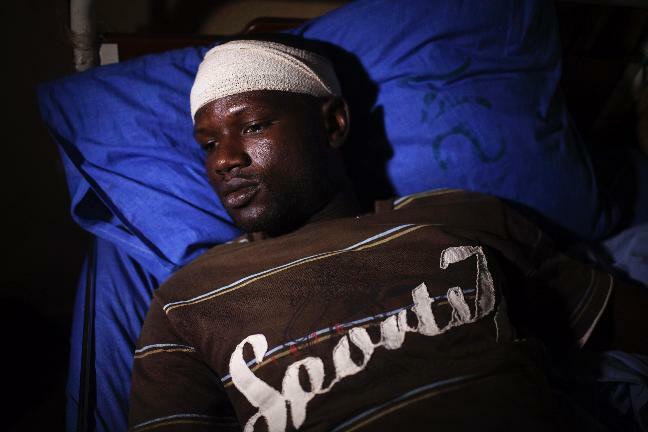 (Photo: Victim of mining violence). “The company went to the paramount chief, and the paramount chief told us what to do. We asked so many questions. What they told us they would do, they have not done.… It was a trap,” one village elder told Human Rights Watch. The government also did not take action in response to apparent African Minerals Limited violations of Sierra Leone labour laws concerning employment, termination, and benefits for its workers. The government’s narrow reading of national labour law as well as political wrangling denied the company’s workers the ability to form a union of their choosing, rather than belong to an established union that the workers regarded as ineffectual. The government of President Ernest Koroma, re-elected in 2012, is aggressively pursuing an “Agenda for Prosperity,” supported by bilateral donors, the World Bank, the International Monetary Fund (IMF), and corporations attracted by the country’s mineral riches and fertile land. The strategy has yielded high rates of growth; in 2012, Sierra Leone’s economy grew by 21 percent, the fastest in sub-Saharan Africa, according to the IMF. That growth, however, has not necessarily been matched by improved living conditions for Sierra Leone’s six million people, Human Rights Watch said. The country has ranked as one of the poorest in the world for many years, according to the United Nations Development Programme’s Human Development Index. We investigate and expose human rights violations and hold abusers accountable. We challenge governments and those who hold power to end abusive practices and respect international human rights law. We enlist the public and the international community to support the cause of human rights for all. Human Rights Watch is an international organization with staff in more than 40 countries, and offices in Amsterdam, Beirut, Berlin, Brussels, Chicago, Geneva, Goma, Johannesburg, London, Los Angeles, Moscow, Nairobi, New York, Paris, San Francisco, Tokyo, Toronto, Tunis, Washington DC, and Zurich. The article is very informative, as I have found your articles to be. The sad issue here is that either the political structure has never really allowed us, or our thought process as Sierra Leoneans has not motivated us (even in the face of overwhelming information), to act in ways that would bring about radical and meaningful political change in the country. Voting patterns are never really debatable, but predictably based on tribal/ethnic/regional or party allegiances. New progressive individuals are not given a chance at bringing about social and economic development. When this situation will turn around for the better, is way up in the air. Very sad situation indeed.